Often imitated, never duplicated. Jordan of the Island's God Bud genetics are the original. Our compact bracketing God Bud has a biblical marijuana reputation and is beyond praiseworthy for its taste, heavy yield and medicinal properties. God Bud is an idyllic deity for first timer marijuana growers, compassionate commercial outfitters, and experienced enthusiasts who insist on cream. Purple pot colas drip with crystal - making God Bud's dense purple (ish) bud leaves sparkle with trichomes. God Bud is a hefty hash maker and experienced God Bud marijuana growers will drop the temperature in the final week producing more resin production and plenty of purple hues. 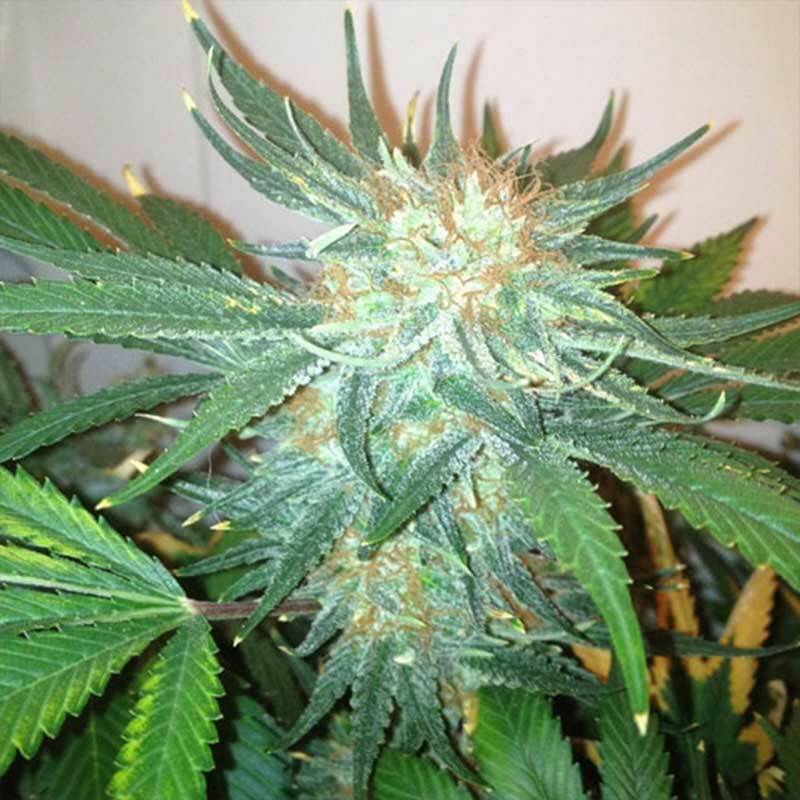 First timer indoor marijuana growers will love how male God Bud is incredible slow. Males appear much later in the flowering stage. Making them easy to recognize and pull. God Bud rewards novices who pay attention to her with slight adjustments. Creating ample yields of sweet incredible weed.